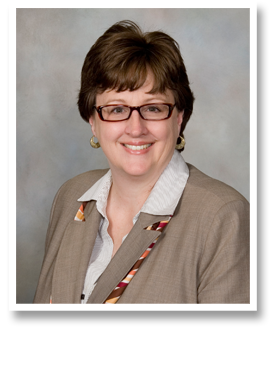 Diane Elliott has been practicing law since 2005, after receiving her Juris Doctor degree with honors from Northern Illinois University. She has worked in the field of school law, representing school districts on due process special education matters. Her real passion is family law. A lifelong learner, Diane taught elementary school for over twenty years prior to achieving her lifelong dream of becoming a lawyer. Diane E. Elliott focuses her legal practice on family law matters including adoption, divorce, and paternity matters, as well as bankruptcy and debt relief. You will find that Diane has dealt with the issue currently burdening you, so she knows how to handle your questions thoroughly. Diane is the person who can steer you through the complexities of these matters. Diane is a solo practitioner, meaning you will meet and work with her directly, not an associate or clerk. Diane works to guide you as you navigate the life changes these legal situations cause. Her goal is to actively advocate on your behalf. Securing fair and equitable resolution of matters to protect you, your children and your interests is key. If attempts at reasonable negotiation fail, Diane is prepared to vigorously litigate to protect your rights and interests. The Law Office of Diane E. Elliott is also a debt relief agency. Diane helps people file for bankruptcy relief under the Bankruptcy Code. Currently Diane is admitted to practice in the State of Illinois and in federal court in the Northern District of Illinois. In May of 2010, Diane was admitted to practice law before the bar of the Supreme Court of the United States. Diane also holds a valid Illinois teaching certificate as well as School Administrator’s endorsement.